Any chance we can get a picture of top 16 when it gets posted? How many were tied for the cut, and what did the tiebreaker look like? Flip has the top 16 on his site. I don't know if anyone knows everyone's real name. 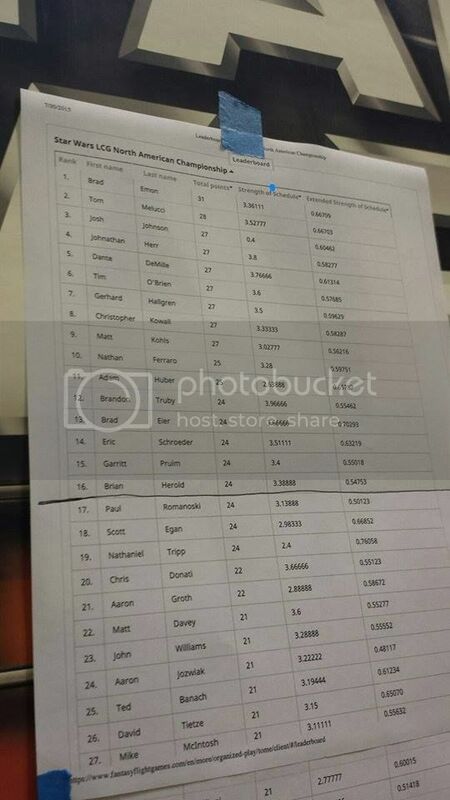 Congratulations to everyone who made the top cut. I hope everyone had a awesome time. Wait who is tgo? Hes here? Shh he's really short and doesn't like to draw attention to himself. He got the 15th seed. Also matt kohl is the team covenant guy?!?! Jarrit is not Garritt. And Matt Kolh is the first nats champ, and while friends with the TC guys, he's not really associated with them. Oh god. Tierdal is already drunk.